At Spring Street Dermatology, we work to optimize the appearance of your skin through comprehensive medical care and state of the art cosmetic enhancements. We believe in achieving natural results using the simplest, least invasive techniques possible. Our goal is to bring out the best in you. After all, when you look good, so do we! Frowning, squinting and smiling leave behind fine lines and wrinkles over time. It can be injected directly with a tiny needle into the muscles responsible and work by reducing crease causing contractions. While neurotoxins help soften deep wrinkles, the ideal time for prevention is to start treatment when fine lines first appear. There is minimal discomfort and no downtime. Within days, you may see an improvement that can last up to 4 months. If there is concomitant volume loss, soft tissue fillers may be recommended for more complete correction. Chemical peeling can reduce fine lines, improve the appearance of scars, diminish dark marks and enhance texture. The procedure involves applying a chemical solution that causes the top layers of the skin to exfoliate, allowing newer, revitalized skin to emerge. A peeling agent is chosen based on the specific skin condition being addressed, your skin type and the goals of treatment. You can expect to feel some warmth and mild stinging during the procedure. Whether you are looking for quick refreshment or a deeper, stronger peel, we will choose the safest and most effective option for your skin. Microdermabrasion may be added for enhanced results. As we mature, loss of volume leads to wrinkles, prominent nasolabial folds, thinned lips, exaggerated jowls and marionette lines. The natural deterioration of underlying bone and soft tissue leaves a hollowed, aged appearance. Fillers are injected below the skin surface to correct age related volume loss. At Spring Street Dermatology, we use hyaluronic acid based fillers like Juvederm and Restylane to augment the cheeks, reduce wrinkles, enhance lips and give patients a natural, more youthful appearance. Hyaluronic acid based fillers are safest because they are a component of native connective tissue and are easily reversible. Years of sun exposure can lead to sunspots, age spots, freckles and broken blood vessels. The red and brown tones make the skin appear aged and uneven. IPL turns back the hands of time by selectively destroying melanin (pigment) and hemoglobin (red blood cells). It can be used on the face, chest, arms, and hands. For patients with rosacea, IPL can be used to decrease background redness and help prevent flushing. The Cynosure MaxG offered at Spring Street Dermatology is the most powerful and effective IPL platform available. Kybella™ is a prescription medicine used in adults to improve the appearance of submental fat, also called the “double chin.” The active ingredient in Kybella is deoxycholic acid, a naturally-occurring molecule in the body that aids in fat breakdown and absorption. When injected into the fat beneath your chin, Kybella causes the destruction of fat cells. Once destroyed, these cells can no longer store or accumulate fat. Multiple treatments are necessary for most patients. Final results can take over 6 weeks to be evident. After an ideal aesthetic response is achieved, retreatment is not expected. Let’s face it – traditional hair removal techniques like waxing, threading, creams and shaving are torture. They can be painful, labor intensive and, if you do the math, extremely expensive over time. Laser hair removal offers permanent hair reduction for both men and women. With our Cynosure Elite Nd:YAG and Alexandrite lasers, all skin types and any area of the body can be treated. Pain is minimal and only lasts for a fraction of a second. The average patient will need 6-9 treatments at monthly intervals to achieve a 90% reduction in unwanted hair. Yearly touch ups are recommended to keep the hair away. 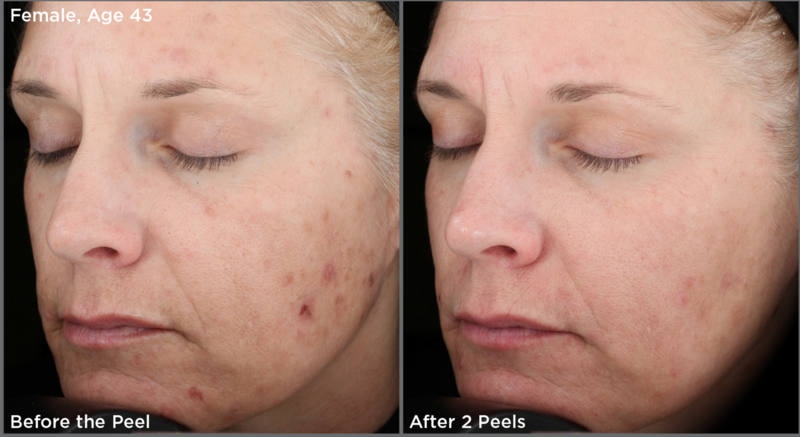 Laser resurfacing not only tightens the skin but can improve the appearance of sunspots, wrinkles, pores and scars. 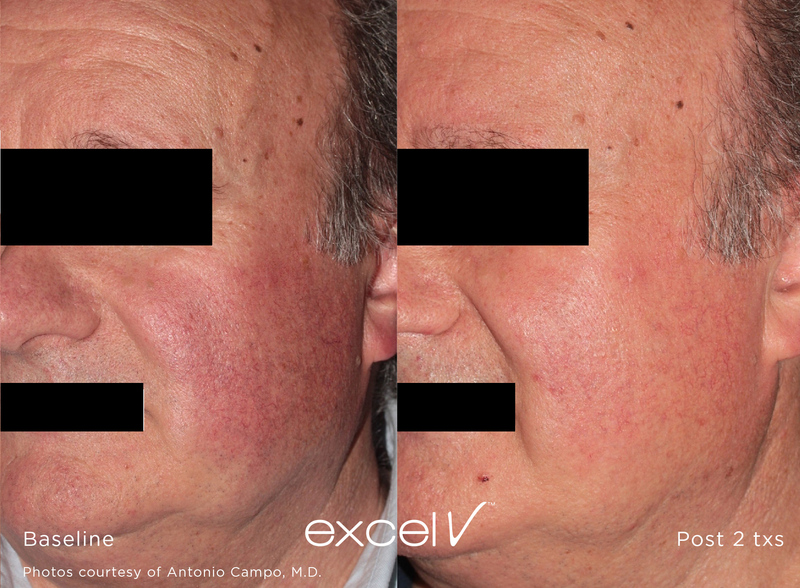 Ablative lasers work by vaporizing the outer layers of skin. This process stimulates the skin to repair and remodel with new collagen. Recovery time can take 1-2 weeks, but results are dramatic and lasting. Non-Ablative lasers are less invasive. They work by heating up tissue without actually destroying it. There is usually minimal downtime and multiple treatments are required for best results. Using the top of the line ICON™ workstation, Spring Street Dermatology offers 3 types of laser resurfacing: 2940 ablative for a one time treatment with dramatic results, 1540 XD for acne and surgical scars, and 1540 XF for skin texture and stretch marks. The Eclipse MicroPen™ uses a sterile 12 micro-needle tip to create controlled micro-channels in the skin. This initiates the skin’s repair process to naturally produce collagen, ideal for decreasing the appearance of wrinkles, fine lines, scars and stretch marks. The micro-channels also allow for optimal absorption of topical products, most importantly Platelet Rich Plasma (PRP), to enhance results. PRP is a concentration of platelets and growth factors found in the blood stream. To harness the reparative and regenerative power of PRP, a small blood sample is taken from your own body and centrifuged. The PRP, a clear golden liquid, is then extracted, applied topically and immediately followed by a micro-needling procedure. The micro-channels created by the Eclipse MicroPen provide direct pathways to the deeper layers of skin allowing the PRP to expedite wound healing and further stimulate production of collagen. Microneedling with PRP is an ideal, natural treatment for smoothing wrinkles, fine line, and scars. Coupled with injections of PRP, it can also be used to stimulate hair regrowth in the scalp. MiraDry is a revolutionary, non-invasive treatment for underarm sweat, also known as axillary hyperhidrosis. It works by delivering precisely controlled electromagnetic energy that targets and selectively destroys overactive sweat glands and odor glands. These glands do not grow back once eliminated, resulting in a dramatic and lasting reduction of underarm sweat and smell. 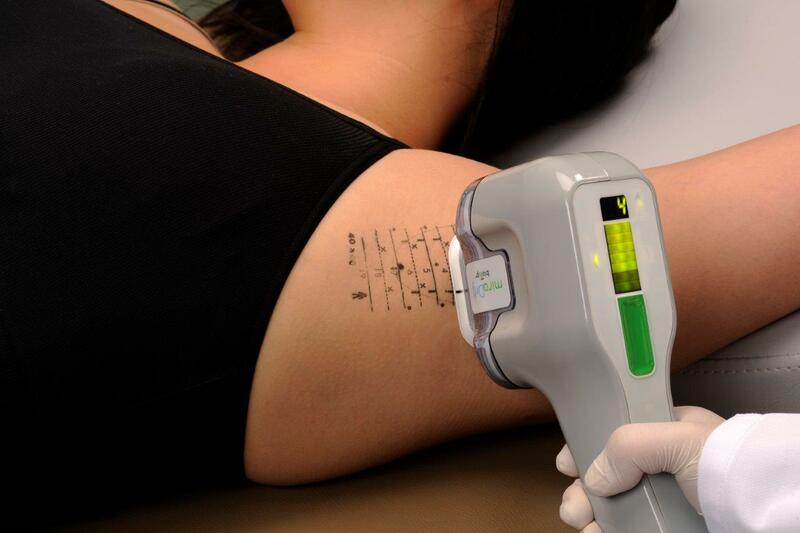 TThe Excel V is a combination KTP 532 nm and ND:YAG 1064 nm laser that safely and efficiently treats a variety of vascular lesions including telangiectasias, broken blood vessels, angiomas, vascular birthmarks, spider veins, and leg veins. It can also reduce facial redness associated with rosacea or sun damage and can treat solar lentigos or sun spots. Treatments are well tolerated with minimal downtime. While improvement is generally seen after the first treatment, most patients will require multiple sessions for best results. TruSculpt is the latest noninvasive technology to target problem areas of fat and cellulite that are resistant to diet and exercise. The device delivers controlled, yet comfortable, doses of therapeutic heat to the subcutaneous tissue layer resulting in both body sculpting and fat reduction. It is ideal for targeting stubborn areas like the lower abdomen, double chin, bra fat, back fat, love handles, muffin tops and saddle bags. Two to 4 treatment sessions spaced 4-6 weeks apart are recommended. Many patients see results within 4 weeks, with optimal results typically achieved at 12 weeks. There is minimal downtime after a truSculpt procedure – patients can resume daily activities immediately post treatment. 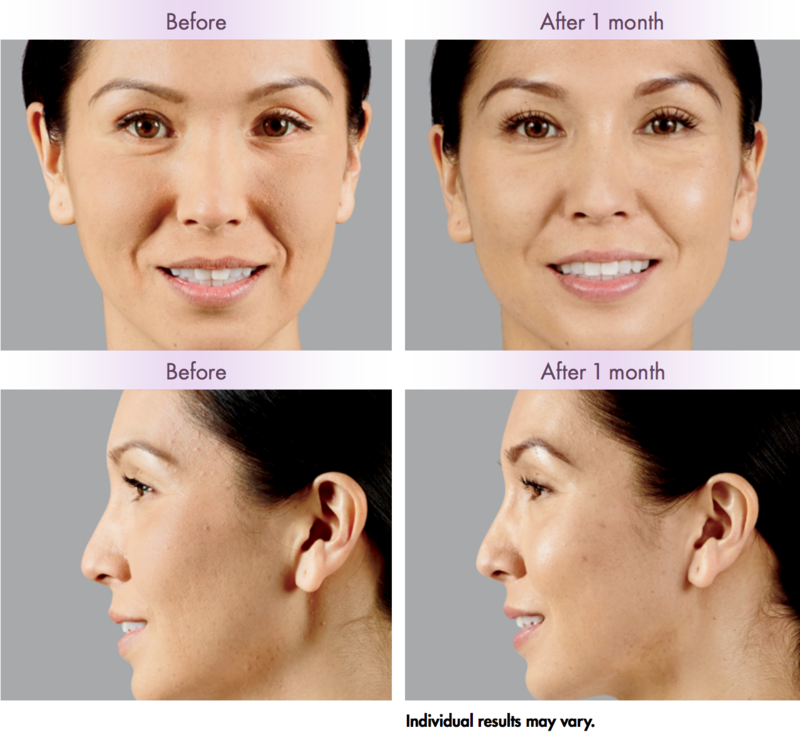 To find out if truSculpt is right for you, please call us at 212-431-4749 to schedule a consultation. Laser Genesis is a YAG based laser facial that is safe in all skin types. By gently heating the dermis, Genesis rebuilds collagen, evens out skin tone, reduces redness, shrinks pores, and fades hyperpigmentation from acne or melasma. It can also be used to improve the appearance of scars. Patients describe Genesis as feeling like a warm campfire. There is minimal downtime and a noticeable improvement in skin texture can be seen immediately. Depending on desired results, most patients benefit from a treatment series. A maintenance regimen with treatments at regularly spaced intervals is ideal for keeping up the results. The Titan is a non-invasive skin tightening laser that targets sagging, loose skin on the face or body. Using infra-red light, Titan heats deeper tissues, causing contracture, remodeling, and increased production of collagen. Titan is especially useful the treatment and prevention of early jowling, neck laxity, and sagging skin around the eyes. It is also the best non-surgical option for loose skin after pregnancy or weight loss. Improvement in skin texture can be seen in one treatment, but multiple treatments may be necessary to achieve the desired results. Since skin elasticity continues to diminish over time, yearly maintenance may be required to sustain improvement. 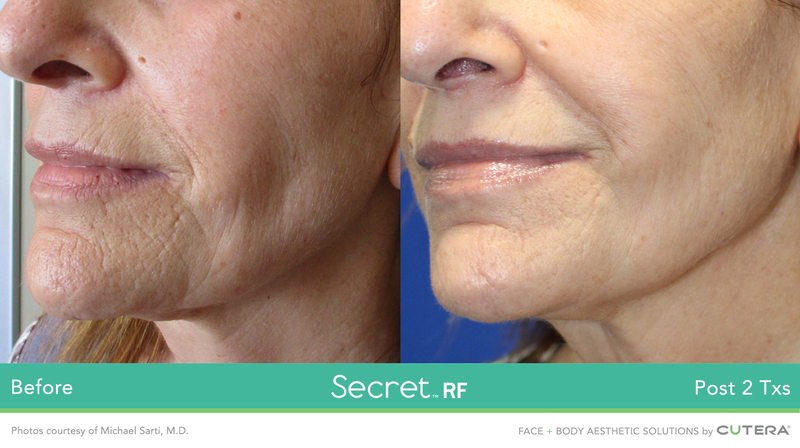 The Secret RF (radiofrequency) microneedling device is the latest advance in the treatment of wrinkles, stretch marks, and acne scarring. It uses 25 or 64 perfectly spaced, gold tip needles that precisely deliver energy at varying depths below the skin. Microneedling boosts collagen production while radiofrequency remodels and tightens tissue. The combination of both modalities in a single treatment means unprecedented results in the appearance of wrinkles, including those in difficult to treat areas such as around the mouth (Smoker’s lines), around the eyes, and on the neck. It is also effective in the treatment of a wide range of textural acne scars (pitted, rolling, and boxcar scars) and stretch marks. The procedure is comfortable with topical numbing medication and downtime is minimal. It is safe in all skin types. Patients typically require a treatment series for best results. Juliet is an erbium laser that takes 20 minutes to revitalize both the internal and external vaginal tissue. Based on multiple studies, vaginal erbium laser treatments significantly improved lubrication, sexual discomfort, vaginal firmness and tone, leakage of urine when sneezing/ coughing or laughing, labial tightening, and external skin appearance. The process involves 2 passes: The first delivers micro columns of laser energy that stimulate regeneration of collagen and elastin, strengthening the structure of the inner vaginal wall. The second pass delivers gentle heat to improve vaginal tone and flexibility. There is minimal discomfort and little downtime. A series of 3 treatments at 4 week intervals with yearly touch ups is recommended.